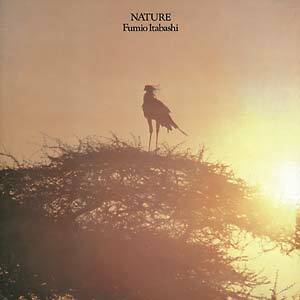 Mule Musiq present the first vinyl reissue of Fumio Itabashi's Nature, originally released in 1979. The legendary Japanese jazz pianist's first solo record ever, Nature was recorded at Nippon Columbia's first studio in Tokyo from March 13-15 in the year of its release. It features Itabashi making feverish love with the piano and he shares the studio with the great bass players Hideaki Mochizuki and Koichi Yamazaki, drummers Kenichi Kameyama and Ryojiro Furusawa, soprano saxophonist Yoshio Otomo, and vibraphone wizard Hiroshi Hatsuyama. They all joined him to perform his very own songs, composed by Itabashi himself and produced by Ryonosuke Honmura, who also produced Japanese jazz heroes, like saxophonist Keizo Inoue, during his career. 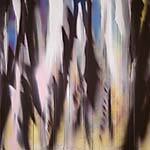 Nature is fresh, propulsive, twitchy, and melodious from the first to the last tone. Sometimes the instrumentalists play a classic solo in an overall deep modal jazz atmosphere that seems to be made for cats that love the good old stars and inventors -- from John Coltrane to Miles Davis, from Thelonious Monk to Art Blakey. 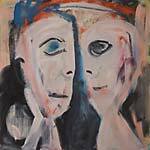 Nature also shows how deep Itabashi studied the history of the genre, while keeping his very own vision of jazz alive. The man that made his professional debut as a member of the Sadao Watanabe Quintet in 1971 and who was also a member of the Elvin Jones Jazz Machine world tour from 1985-1987, plays the piano in all tempos, from a nervous high-flying quickness to a deep blues-style slow. Besides the traditional jazz flavors, you get a feeling of mind-expanding spiritual jazz, that grand masters like Pharaoh Sanders or Gary Bartz, turned into a sacred music genre. A master-class record in ravishing big city jazz music, adventurous, sometimes meditative, sometimes faster than the speed of light, always grooving with a bright, pure-toned sensibility and deeply soulful melodic imaginations. It extends the jazz history with a fine balance between tradition and innovation. And it stays infectious all the time while sounding surprisingly fresh due to a lot of thrilling musical spontaneity that touches profoundly even though all notes have been written down by Itabashi before he and his combatants entered the studio. And maybe that's the mystery of these timeless five at times epic recordings: all notes written on paper, but each musician had the freedom to dance with them in his very own unique way.